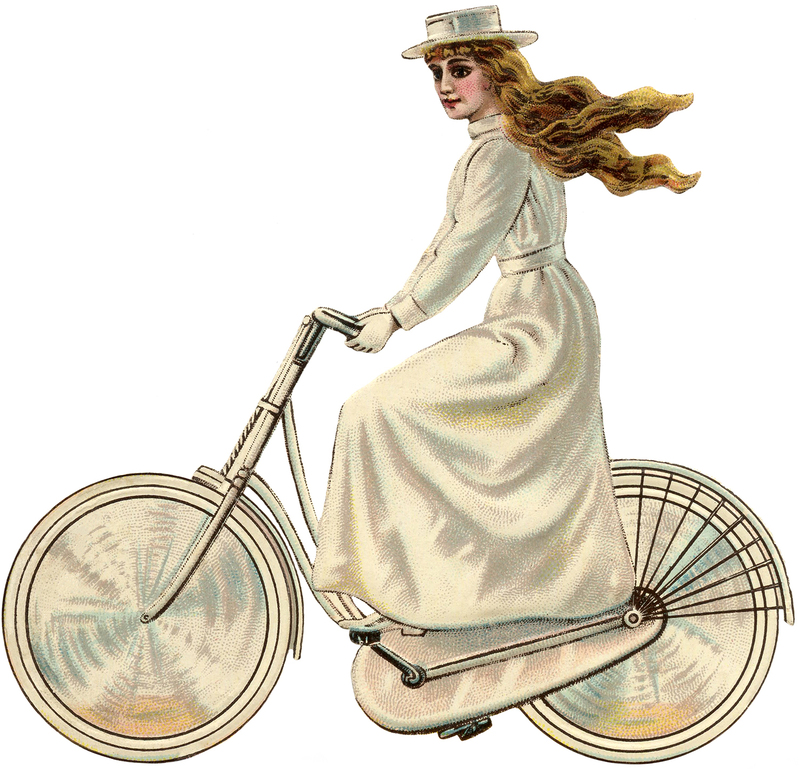 This is another marvelous Vintage Bicycle Girl image! This young lady is dressed all in White, in Edwardian style Fashion. She even has a White Hat and her Bike is White as well. She must be riding at a fast pace, as her long blonde hair is moving with the breeze. This one would go very nice with the other Bicycle Girl, wearing a Sailor Dress, that I shared recently, you can find that image HERE. 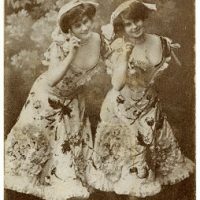 Old Photo – Fancy Dancers 7 Vintage Group Photos of People! Stunning Vintage Silhouette Elegant Ladies at Tea Image! Thanks so much Karen – she is rather unusual being quite so totally white.